“Feels like a coming-of-age,” sings Mark Foster on his band’s massive-sounding new single, his springy tenor ricocheting off new-wave guitar blasts and arena-sized drums. Funny thing is, Foster the People never really had a coming-of-age: Re-tooled into a band from the jingle-writer frontman’s dead-end solo project, they found immediate success with their insanely catchy debut single, “Pumped Up Kicks,” a sort of slacker-hipster anthem for straight-A students. Then came the logical checklist: major label deal, huge debut album (2011’s genre-hopping Torches), world tours, and—inevitably—figuring out what the hell to do next. The crux is the album’s smothering, reverb-heavy, more-is-more production style, which smooths over some of the off-kilter quirks that made Torches’ sprawl so alluring. 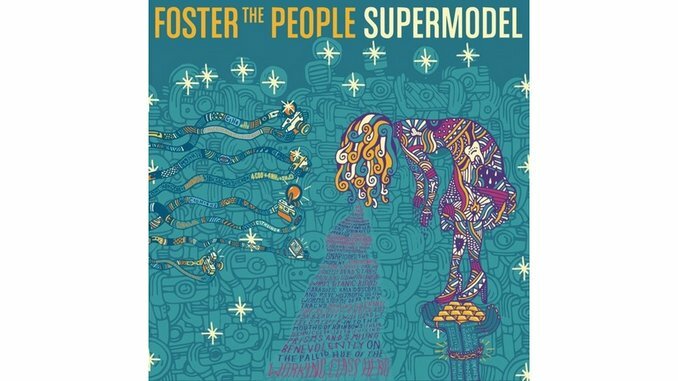 With Supermodel, Foster the People haven’t jumped the shark—they’ve just made it shinier.